No Deal on the Sale of Atlantic Club - NJ Casino News! Recently, we reported a potential sale of the former Atlantic Club in AC. Unfortunately, that deal didn’t fall through. According to reports, the owner of the shuttered casino hotel, TJM Properties cancelled the public notice to sell. The proposed buyer, Jeffrey Smolinsky, and TJM both declined to comment. However, we were able to dig up some information on the matter. It’s no secret; the vacant Atlantic Club is a beautiful casino and hotel. Not to mention, it’s sitting right on AC’s legendary boardwalk. However, the property has stood alone for over five years now. During that time, the city’s casino industry was in a slump and TJM took advantage of that and bought the place for $13.5 Million from an affiliate of Caesars. Now that AC is booming once again, it’s likely the asking price is too high. Also, this isn’t the first time the property almost sold. In fact, two years ago a Ventnor development group wanted to buy the property and turn it into a waterpark, but those plans also died. And in 2016, a deal with Endeavor Property from Pennsylvania collapsed shortly after the announcement went viral. Plus, Stockton University had an interest in the casino-hotel, but those plans didn’t make the cut either! 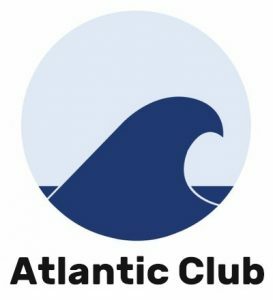 In brief, the Atlantic Club is nearly 40 years old, and it’s reported to be falling into despair. Plus, parts of the hotel’s exterior are crumbling. Not to mention, the resort’s ceiling entrance came crashing down two years ago. Since then, no repairs have taken place, and only memories remain. From the sound of things, the property might not be worth the asking price, although now is the perfect time to invest in AC’s casino industry. The resort has 800 rooms and 1.5 million square feet of space, although it might be too costly to update. At this point, we’ll just have to wait and see what happens next. So stay tuned, it looks like this story is far from over!